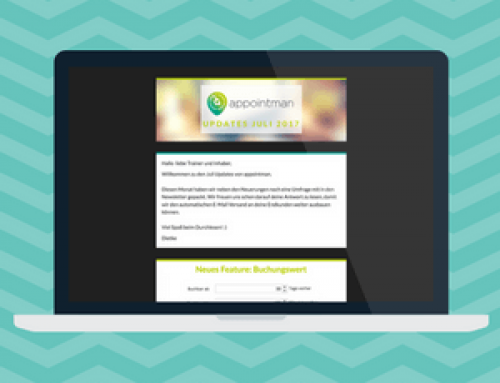 Welcome to the August appointman Updates. We always strive to make our software better and more versatile. At the same time it should stay simple to make sure it saves you a lot time in your day-to-day work routine. 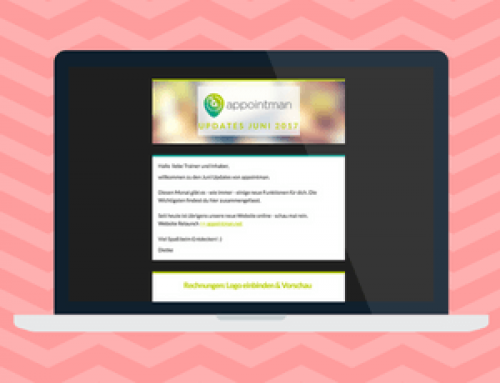 Keeping this in mind we gathered the most important updates for appointman within the last 4 weeks. We received a lot of survey responses from our last newsletter. 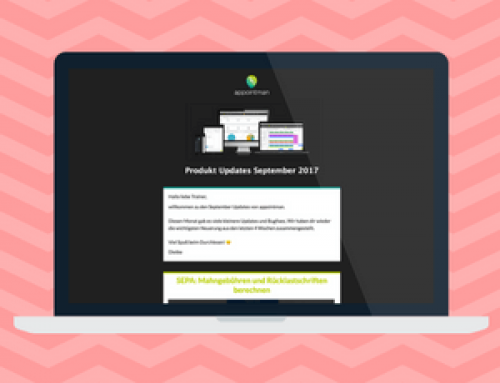 We appreciate all the feedback and made sure that the e-mail automations that were requested the most have been implemented. Every Shop user has the option to add term contracts manually to their customer’s profile. This makes sense if the customer is at your studio and wants to start right away. So you customer doesn’t need to purchase the contract via the online shop first. You will be able to chose from all the term contracts you offer in your shop. It saves you time, because there is no need to set it up manually anymore and it helps you to avoid making mistakes. You asked about it in the past… finally the feature is live! Services can now be booked with a pass or term contract. If you offer personal training for example, your customers can use their available points on their pass to book the training directly online. No need to pay for this later on. To enable this for specific services you need to mark the box “Only for members with contract/pass”. By the way, this feature is also available for workshops. The new QuickFind-Feature allows you to browse your appointman software for any members, classes, leads or workshops. No need to switch between tabs anymore. Start your search by using the command shift+n or by clicking on the little magnifying glass in the upper right hand corner. In the past we experienced it several time that users had difficulties sending Newsletters by using their own servers. Almost every time the severs were not suitable for sending bulk e-mails. WThat’s why we offer a solution you can purchase right away! This extra service is offered for everyone who doesn’t have a suitable server to use our roundmail (newsletter) feature. E-mail delivery with own sender via our own appointman high performance servers. 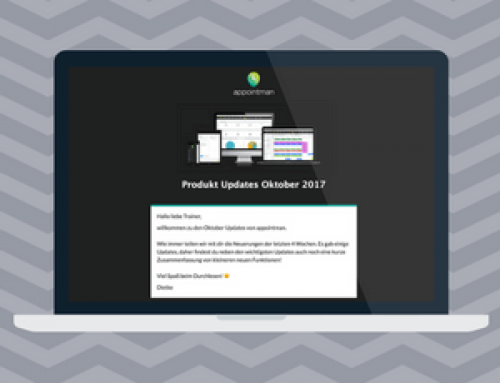 The delivery and configuration will work similar to other Newsletter-Systems like MailChimp, Klick-Tipp, CleverReach & Co.